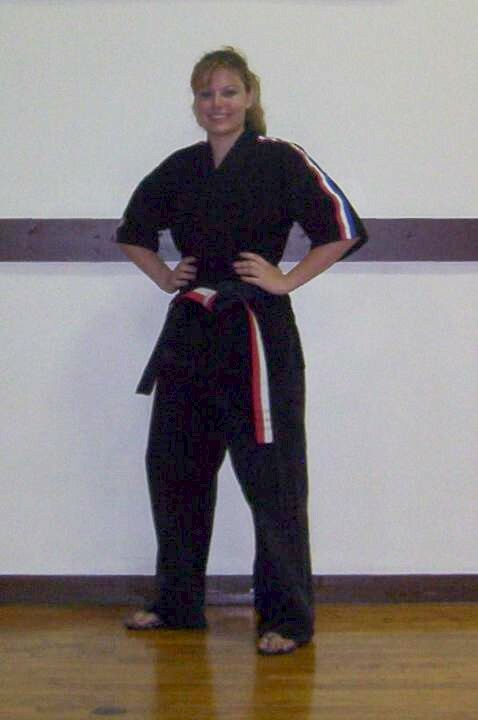 Sensei Jenn Hittinger has been training and teaching the Martial Arts for more 14 years. She has trained in one of the most effective forms of self-defense, blending both traditional and more modern practical techniques to arm students with the skills necessary to protect themselves in today’s society. Team United Karate’s recipe for success in a karate program utilizes a combination of strong techniques, vigorous workouts and caring instructors. Team United Karate's instructors realize that each student enters into a karate program with different goals and objectives and that it is their responsibility to know the goals of each student and help them to achieve. IT IS AN OLD SAYING "A STUDENT DOESN’T KNOW HOW MUCH HIS INSTRUCTOR KNOWS, UNTIL HE KNOWS HOW MUCH HIS INSTRUCTOR CARES". This philosophy is what motivates our instructors to care about each student in a way that is second to no other Martial Arts system. Sensei Jenn's beliefs and integrity are the reasons why she has trained so many martial artists. The students learn to defend themselves, improve their physical conditioning and mental awareness. Through the Martial Arts training students improve their self-esteem, confidence, discipline, focus and develop leadership qualities that help to give them an overall winning attitude.